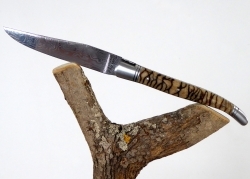 Laguiole Forged - American’s Buffalo/Bison Horn Crust Handle Full Handle - Raw Tempered Blade. We've selected exceptional raw materials in order to provide you unique Laguiole Knives. 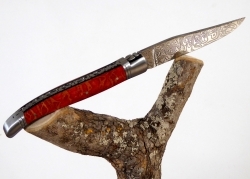 Our One-Off Laguiole Knives are handmade with rare and exceptional handles. Laguiole ONE-OFF There are 3 products.